CPI-M says there is ideological difference between Ex-PM Atal Behari Vajpayee and current PM Modi. 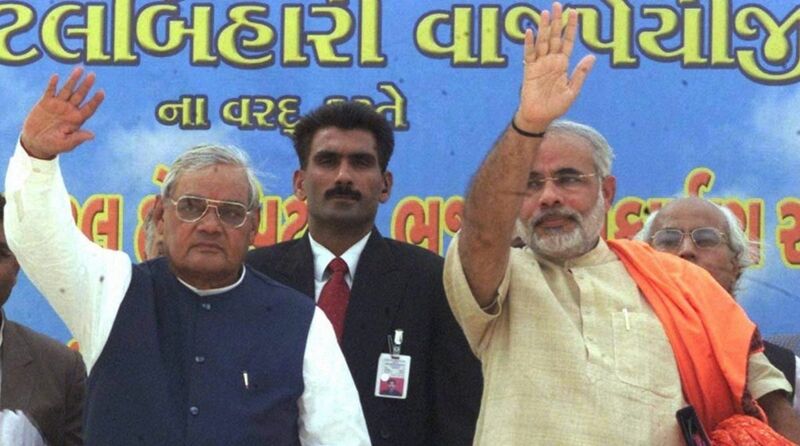 Atal Behari Vajpayee and Narendra Modi. Both Atal Behari Vajpayee and Narendra Modi belonged to BJP, but senior Opposition leaders in the state cutting across the ideological divide felt on Friday that there is no possibility of Prime Minister Modi deviating from the divisive path even on a day when the mortal remains of the man whom he considers to be his role model was consigned to the flames. Nor is the Prime Minister discharging ‘Raj Dharma’ which Vajpayee advised him to do after the Godhra riots, Congress Rajya Sabha member, Pradip Bhattacharya and CPI-M MP from Raigunj, Md Salim felt. 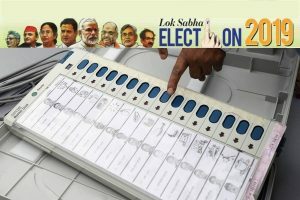 The paths which Vajpayee and Modi follow widely diverge even at the initial stage, Congress member of Rajya Sabha, Pradip Bhattacharya said, “Vajpayee was the only political leader whose feet I unhesitatingly touched owing to his policy of accomodation, while Modi provokes antagonism by his divisive style of functioning,” he said. During his prime ministership, Vajpayee sought to build a political atmosphere on the basis of consensus, the former PCC chief said. Prime Minister Modi, on the other hand, is seeking to divide the nation by policies of pitting one community against another, he said. “Democratic norms were strengthened during Vajpayee’s regime, Bhattacharya who had interacted with both the prime ministers felt. But such norms and other democratic institutions which Vajpayee had nurtured are assault under Modi’s tenure”, he added. “I have no hesitation in saying that politics of consensus practised by Vajpayee is a thing of the past, Bhattacharya said. A new chapter of conflict in which our body politic stands the risk of breaking up,” he apprehdned. As for discharging Raj Dharma following Vajpayee’s advice, neither did Modi practice it in riot-torn Gujarat nor is he doing so as Prime Minister, the veteran Congress leader said. For Raj Dharma that Vajpayee advised Modi to follow has the pre-condition of looking upon all communities equally which is beyond Modi to achieve, he said. The policy that Modi seeks to implement is crafted out of untruth and luring communities, the Congress Rajya Sabha member said. When Modi says that the former prime minister is his role model and he is performing raj dharma, he is paying lip service to Vajpayee’s advice, he said. The CPI-M said on Friday that there was ideological difference between the former Prime Minister Atal Behari Vajpayee and current Prime Minister Narendra Modi. The party said that former Prime Minister never tried to establish himself above the party. The party also said that “liberal” Vajpayee several time presented his speech scholarly in the Lok Sabha. “He was always beyond the control of the RSS,” the party said. The CPI-M said, that during the Vajpayee’s tenure as Prime Minister, Gujrat carnage took place and it was Vajpayee who advised Narendra Modi during a Press conference to follow the duty of the ruler (Raj Dharma ). The party also criticized Vajpayee’s several steps during his tenure as Prime Minister but praised him for his open minded mentality and sharing of his opinion with everybody keeping himself away from political barrier. Party’s MP and politburo member, Mohammad Salim said that Prime Minister Narendra Modi must follow his role model Atal Behari Vajpayee rather than advising others. “Modi maintaining his relation with the crooks and corrupts persons. He even failed to retain coalition partners but Vajapayee was successful to keep them. “TDP Shiv Sena and others maintaining distance from the BJP during the tenure of Narendra Modi,” said Salim. The party also released a video to differentiate the former and current Prime Ministers. Salim said that vandalism of the gau rakshaka and other divisive politics taking place under Narendra Modi’s government which is an ugly politics.